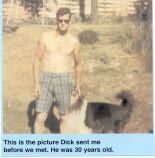 Please include Email address for confirmation. is the legal way to prevent anyone from marrying for money. It has advice from two attorneys who have practiced law for over 21 years. Don't take chances with your money; invest in this book. It will save you thousands of dollars. It's also perfect for honest men to protect their widow from a future suitor whose intentions are less than honorable. This book serves two purposes. 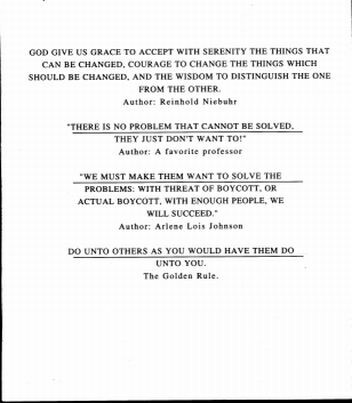 If you have money, this book will help you; if you're an activist, this book will help you. This book will save you thousands of dollars in legal fees AND explain how the FBI goes about getting its target's confidence and trust so the victim won't be able to achieve their goals. 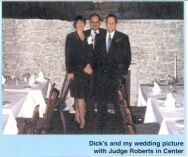 My book also provides you with complete legal advice from two attorneys who have been in the profession for over 21 years. Men protect your wife this way also if you pass on before she does which is a statistical reality, and parents will be able to protect their offspring from those unscrupulous individuals who marry for money. Please add $5.00 for postage and handling anywhere. is the exposé of events that happened that nearly caused The Journal of History (La verdad sobre la democracia) formerly True Democracy not to be published AT ALL! This small book is documented extensively and has many pictures as well which will fascinate you, document the truth, and enlighten you as to the reality of today's American government. 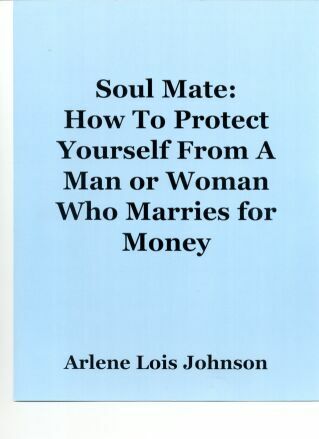 This book was stolen by U.S. Customs when numerous copies were shipped to a distributor in Ohio; fortunately, single copies mail successfully into the U.S. Find out why Customs stole this book and my first book, Soul Mate, by reading them both regardless where you live. If you're an activist, you need this book and you need Soul Mate. They contain what the US government does not want you to know! Contact me for information regarding a series of American history books, one of which is available now, entitled American History, Volume 1.
when it is massed produced. Please contact me for mailing address. 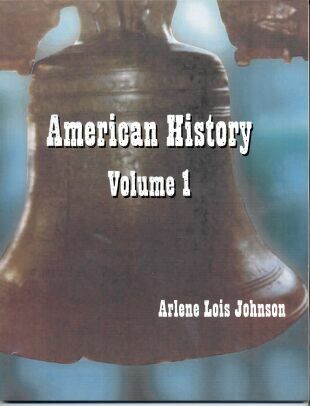 In "American History: Volume 1," the editor Arlene Lois Johnson attempts to reveal top secrets in United States history. This book documents twentieth century America's biggest cover-ups that kept the world from discovering the true history of America. The publisher printed a limited number of copies of this book titled "American History: Volume 1." In the next printing of the book, it will be called, "What the U.S. Government Does Not Want You to Know: American History, Volume 1," making this first version a collectors' item. For many years, advertisers and the elite have prevented the American mainstream press from providing people true information about historical events. The reasons behind these cover-ups are numerous and include the desire to facilitate a New World Order. The book exposes facts that are contrary to widespread public belief. For example, the Warren Commission appointed by the U.S. government stated that Lee Harvey Oswald was a lone assassin responsible for murdering President Kennedy. This book claims that this version of President Kennedy's assassination is less credible than other versions of the events that day. Some possible theories indicate that the CIA, the Mafia, or the Cuban government was involved. The book hints at every well-planned conspiracy that ever occurred in twentieth century American history. It also challenges the belief that President Kennedy suffered three bullet shots in the back of his head. An intern at the hospital where Kennedy was treated, Dr. Charles Crenshaw reveals that he examined a shot in the president's forehead. For several years, Dr. Crenshaw maintained silence about this examination because he feared being ostracized. The book also reveals other top-secret events similar to this controversy.